I got a new puppy she's the cutest thing. Me and my Husband had the nerve to walk in a pet store. Well he says I suckered him in to going in lol. I really didn't intend to buy another puppy because my heart still hurts for my baby Blue. So far this little darling is doing wonders for my soul. Well any ways I think she's going to work out fine. I know she can't replace Blue nor would I want her to but she can give me back the love I so long for and to be able to take care of her the way I did with Blue. I will be writing about our relationship through this diary to let you know how she will be affecting me and so on. Her name is Maxy short for Maxine. 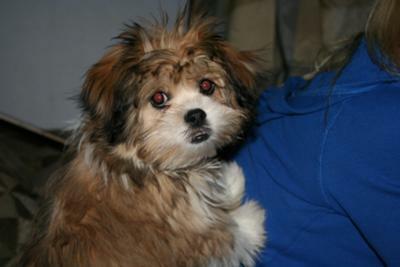 She is a Lhasa-Apso, she is all different colors. I am emotionally exhausted. I think I'll be able to relax a little more right now.